The Weird looks like an interesting anthology! I might have to check that one out. I'm also excited about Gunmetal Magic! I can't wait to my hands on that book. I don't think I have a huge lists of new release books I'm anticipating in May. Well, except for Tangle of Need by Nalini Singh. I really can't wait for Gunmetal Magic... and that cover is fantastic! *grins* so many cool releases! I'm most looking forward to A Night Like This and The Last Boyfriend, though I admit I haven't read the first book yet! I should ge to thtat!! Great list of books, Hilcia! I recently read somewhere that Balogh's The Promise is the first in a series of SEVEN? Do you know if that's true? I might try to get on board with this one. The Weird sounds REALLY fascinating. I'll keep my eye out for your thoughts on those stories. I can't wait for Loretta Chase's next "dressmaker" book, too! Isn't that cover so lovely? Yes, The Promise by Balogh is the first of her new seven book "The Survivor's Club Series." You can read more about it here: http://marybalogh.com/proposal.html :D I can't tell you how excited I am that she's writing this book which is related to one of my favorite books by her, "A Summer to Remember." Everybody who has read that book remembers Gwen or Lady Muir! The Weird... I can't wait to get my hands on that collection, even if it takes me forever to read the 100 short stories. LOL! And of course Loretta Chase's second book in the Dressmaker series is a "must" read for me. 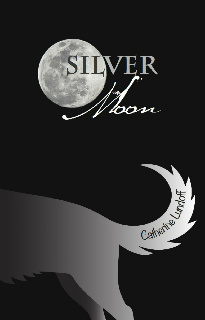 LOL on your comment about Silver Moon! Is it really fiction? Creative isn't it? I thought so as soon as I saw that blurb. From personal experience I can tell you that there are a few people who at given any moment or any given day will agree with THAT line! LOLOL! Hi Hilcia. I hope you're well.~I'm also looking for Julia Quinn's book, I already pre-ordered it! Ilona Andrews's too. The trilogy by Nora Roberts...I'm also going to read it but I'm only getting them when they're all out..so I can resist temptation! LOL, Les! I agree. And well... some people *coughmy DHcough* might *cough do cough* agree with that line. LOLOL! Funny how we don't have many books in common for May. And LOL, yes, there are tons of releases in May! I just finished putting the post together for Breezing through... Took me almost two hours copy/pasting everything I believe LOL. We don't? Well... as always I look forward to your new releases post at Breezing Through. I don't highlight ALL the books I'm looking forward to reading during the month... I pick and choose a few of them. I AM looking forward to reading Tangle of Need by Nalini Singh! I can't wait to get my hands on that book. :D I just didn't choose to highlight it this time. Ah well in that case, Hils, how am I to know if we have books in common LOL. Nath my friend, if I listed all the books I want to read in any given month my posts would be huge! I pick a few and then read yours to see if we have any other upcoming reads in common, lolol!